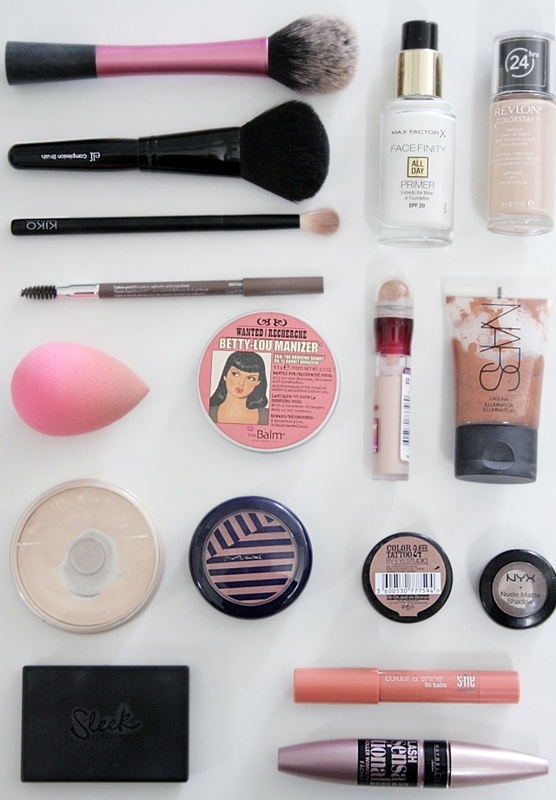 This is the makeup I wear pretty much everyday, at least five days a week. On the weekends, I might use some different eyeshadows, but other than that, this is basically it. The makeup bag I use, is at least over 2 years old. 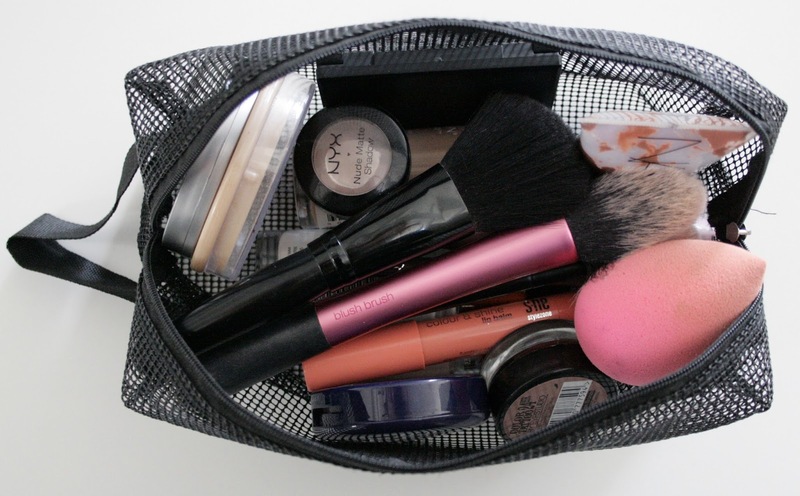 I bought it at Tiger and it was SO inexpensive, but it has lasted so well, and I love how you can see through it, that makes it way easier to find the products. I use this, not for blush, but for face powder. This is for my bronzer, blush and highlight. I know it's probably not good to use it for all, but for everyday, this is just the easiest. I use this to blend out my eyeshadow. The best way to blend out my foundation and concealer, so fast and easy. Great primer, not silicone feeling and I love that it's like a nice smoothing moisturizer. A favorite for many years, right now I'm using the normal/dry formula, because I'm still recovering from Accutane. But I might switch back to something else, when my skin get's more oily again. Number one concealer I have ever tried, just brightens under the eyes so well, and I have the darker shade for blemishes and it covers them right up. If I have self tanned, I use this in my face, because I avoid using self tanner on my face. This gives me that nice bronzy glow. Favorite face powder, keeps my makeup on all day and holds the oils back. Such a great little compact of bronzer and lovely highlighter. Use both everyday! This is again like the NARS product, a way to get a bronzy glow to the face. This does have some shimmer in it, the Sleek palette doesn't. A really underrated blush. It's limited addition, so you can't get it in stores anymore. But it looks really light pink in the pan, but gives your cheeks and beautiful, healthy flush. Holy grail product for me, LOVE, LOVE, LOVE this! Works great as a primer or on it's own. Beautiful shade, can recommend for green eyes! A basic brown blending shadow I use lightly in the crease of my eyes, to give depth. NYX eyeshadow always work great! All time favorite mascara, keeps my lashes super curled, dark, long, and voluminous. I have used this for years now, perfect color for an ashy dark blonde/brown hair color like mine. Kinda waxy in texture, which keeps your hairs mostly in place. Bought this on a whim in Vienna, but I have come to love this product. It's a natural peachy color, doesn't last very long, but looks pretty for a few hours.